PT Adhi Persada Properti - APP or later known as Adhi Persada Properti is a rapid growing company in Indonesia, running business in property developer. Adhi Persada Properti has its business activities focused in high rise buildings construction, such as apartments, hotel, condotel, office tower and property operator. PT Adhi Persada Properti is a property subsidiary company of PT Adhi Karya (Persero) Tbk (ADHI Group), one of the largest state-owned construction companies in Indonesia. 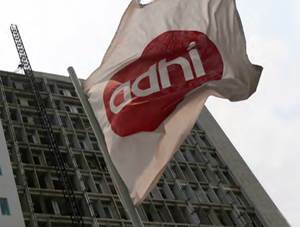 As of December 2015, ADHI Group is the majority shareholder at Adhi Persada Properti and holds 99.7% of the shares. PT Adhi Persada Properti was first established in 2002 as PT Adhi Realty. The name of PT Adhi Persada Properti was officially established in 2012. According to PT Adhi Karya (Persero) Tbk Annual Report 2015 as cited by JobsCDC.com, the performance of Adhi Persada Properti is showing good results in the full year of 2015 (FY15, ended in 31 December 2015). Adhi Persada Properti reported total assets of Rp 3,184.96 billion in FY15. This reflected an 122.25% increase from Rp 1,431.66 billion in the same period at previous year (FY14). S1 Accounting, Management, Business Administration, Finance. Minimum 1 year of experience, fresh graduate are welcome to apply. Placement at Jatinangor Sumedang West Java. Placement at Bekasi and Bogor West Java. JobsCDC.com now available on android device. Download now on Google Play here. Please be aware of recruitment fraud. The entire stage of this selection process is free of charge. PT Adhi Persada Properti - D3, D4, S1 Fresh Graduate Staff ADHI Karya Group January 2017 will never ask for fees or upfront payments for any purposes during the recruitment process such as transportation and accommodation.